Last week I watched the film “Muffins for Granny” with my EPSY 217 class at the University of Regina. It is a powerful documentary that combines powerful images, photographs, and home videos with the stories of seven elders who were survivors of the Residential School system. These stories are an important part of our national history, that is often forgotten, as it is a difficult past to admit and face. Imagery is an important element of this film, as it helps to connect the auditory of the stories to real life. In the film there are many shots in nature, which emphasize the connection of humanity to the natural world, and how humans often reflect the world around them. 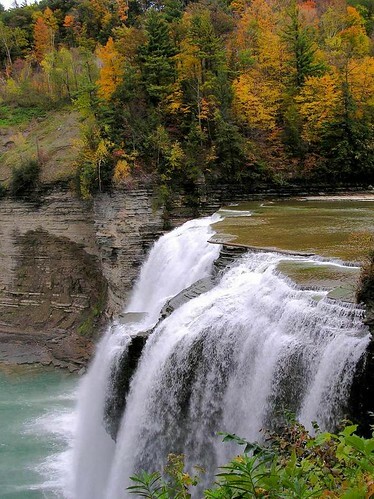 Some of the natural images depicted in the film include a waterfall, a lone moose, a lone bird, a butterfly struggling to fly and an owl. I feel that this progression of images is representative of the history of Residential Schools and the children who endured them. The waterfall is a symbol of power. Water rushes down the river to the edge of the cliff and plummets off the edge creating a turbulent stream as it falls into the mists below. In the same fashion, children were swept away from their families and carried off to an unknown world where they were thrust into a foreign culture and lived a life of turmoil and abuse. Like the waterfall, the children could not go back upstream to their families, and would never be the same. The lone moose and bird represent how lonely the children were at the schools. Children were often separated from other members of their family, and even if they were together they were often not permitted to speak to one another, and if they were, they could only do so in English. The children also felt the loneliest at night when they were isolated in their own beds rather than sleeping with their families. 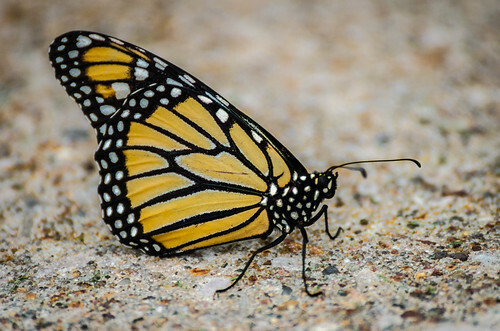 I feel that the image of the struggling butterfly shows the difficulties that the majority of Residential School survivors have faced as a result of their attendance at these schools. They were not equipped with adequate skills, tools or knowledge to be successful in their lives, nor were they given adequate attention, love, and care in order to understand the meaning of family and become good parents. As a result, many survivors of Residential Schools turned to addiction, passed down the trauma of their experiences to their children and future generations, and have struggled to really “take flight” in their own lives. Lastly, the image of the owl is one that I think gives hope for the future. Owls are often very solitary animals, but they are mighty and majestic creatures. They are able to survive on their own, and are equipped with the skills to fend for themselves agains enemies. The image of this creature suggests that perhaps one day the survivors can gain the strength to fly again, and that we can all make peace and reconcile with our tragic past. In addition to the powerful images of the film, there are many powerful stories that connect to Residential Schools. One such story is told by one of the people interviewed in the film. The story is of when he was a boy, and one day he climbed a tree and encountered a bird’s nest. Inside the nest was a brand new baby bird, and he was so excited that he carefully scooped it up, climbed back down and showed the tree to his grandfather. His father was shocked, and scolded him for removing the bird and told him to return it and to never do it again. This story foreshadows a poignant connection to the history of Residential Schools, as like the baby bird, the children were scooped up and taken from their nest, their family. Like the boy, the people taking them away did not think that they were doing anything wrong at the time, but rather they thought they were helping the children, just like the boy thought he was helping the baby bird. 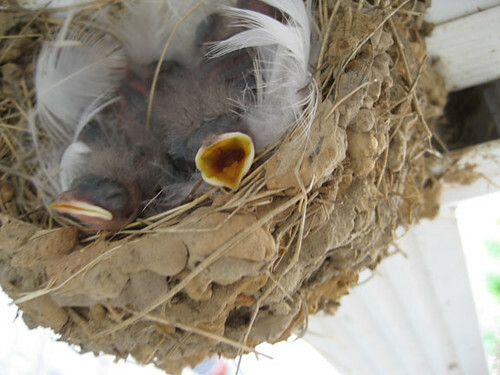 When a baby bird is removed from a nest, the mother does not know where it is, and even when returned may not accept it back as her own because they had been touched by another being. The message of this story is that children should never be taken away from their families when they have people around them who care about them and who will love and support them in their growth and development. When children who were in the Residential School system returned to their homes they, like a baby bird, were not recognized as part of their family as they had changed. We cannot forget our past; we must face it. In order to move towards a better future where Aboriginal and non-Aboriginal Canadians can find reconciliation, we must all work together. As a future educator I know that challenges lie ahead in ensuring that our students understand our collective past, including Residential Schools. I will strive to create a culturally inclusive classroom where students feel safe to discuss tough issues. I am grateful that there are an increasing number of supports available for classroom teachers including kits, books, activities, and access to First Nations elders in the community. We were fortunate to have emerging elder, Joseph Naytowhow join our class while we watched the film, and through his guidance we were able to discuss our thoughts following it. It is my hope that some day all Canadians can speak openly and honestly to one another, and that together we can build a path of friendship. For those interested in watching this film, or others like it, check out your local library. Another documentary about Residential Schools, “We Were Children” is also available now on Netflix. How do you plan to introduce tough topics like Residential Schools to your classroom? What tools/resources do you use to create an atmosphere of inclusivity in your classroom? Just Twiddling my Thumbs…or maybe something else! Up until a few weeks ago I thought that these were really the only things that I could do, as I had never really been introduced to the concept of fidgets! I have to say though, that fidgets are AMAZING! 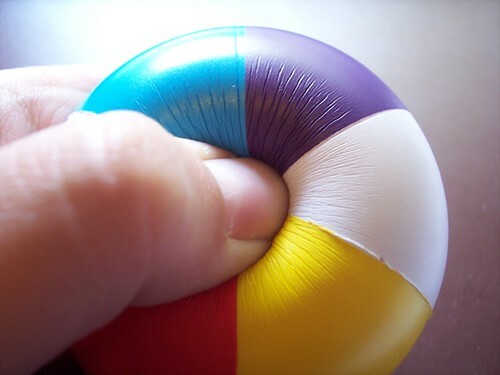 I had seen a few students in a class that I was with for a few weeks last year with different little toys tucked in their desk like stress balls, or fuzzy toys, but I never saw them use them or remembered to ask the teacher why some students had them and others didn’t. I realize now that they were their own little fidgets that they could easily access when and if they needed something to play with. In doing a little more hunting and researching about fidgets I often found the concept associated with ADD, ADHD, or Autism, however I think that I can say from my own experience trying fidgets out in our EPSY 217 class that fidgets can be for anyone! Here is one article though, that I think has some good descriptions of what makes a good fidget. This teacher’s blog post also had some good tips on making a fidget box for individual students or as a group box. This school counsellor’s blog also talks about another type of fidget, called a worry stone, that you can make and have available for students. For me, the twisty-type fidgets are what I like best. I get just a good, calming feeling of wrapping something around my fingers or my wrist, changing its shape or pattern, or making it move. I think this is probably why I find twirling or braiding my hair to be an alternative when I don’t have a fidget! 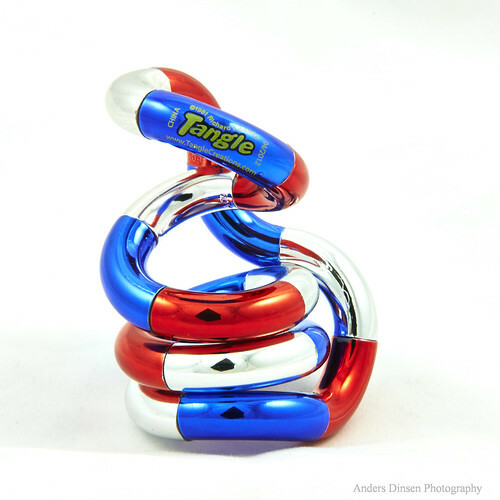 I have enjoyed the bendy, twisty fidgets in our class so much that I actually found an online store out of Edmonton, Tools for Kids Inc., that has a whole selection of hand fidgets, and I have ordered a couple to keep in my backpack to use in my other classes or scenarios where I need to stay in that “zone”. The types of things that I tried out that didn’t work for me were all of the balls, or squishy, or fuzzy toys. I found the textures too distracting, and I did not like the experience of squeezing something. I think that I like the idea of twisting something more as it is more of a dexterous and manipulative motion rather than a motion that requires force and pressure. I think I would find myself bouncing a ball more than I would squishing it to get that more manipulative motion from it. Doing this exercise of comparing what I like and don’t like for fidgets was kind of eye-opening and caused me to examine why I might enjoy different fidgets than my friends and family do. My husband, for example, prefers the squishy stress-balls, so it now makes sense why he continually brings home free ones that he has been given at his work, assuming that I will enjoy them like he does. One of my friends enjoys the fidgets that are a ball, but have sort of soft spokes that add another level of texture and something to “pick at.” Another likes to simply pick at pieces of paper, ripping off tiny pieces (this sounds like a messy fidget!) and crumpling them. To find out just how many different types of fidgets people like to use, I made a little online poll using PollEverywhere and sent it out to my Twitter followers and to my friends on Facebook. Within a short period of time (after I figured out how to make the settings the way I wanted them!) I had a number of responses that really showed a diversity of the types of fidgets people like to use! One idea on there that I think would be just great for my own personal use, that I hadn’t thought of before, is a pipe cleaner! I just might have to stick a few of these in my backpack and my purse for times when I don’t have anything else. I imagine they wouldn’t last too long though, and could get quite grimy and germ-filled compared to the cleanability of things like the tangle or a stress ball. In a pinch though, a pipe cleaner would be just perfect! So, to my readers, I ask you: what is your favourite fidget to use? What do you provide for your students to use? Do you limit when they can use certain kinds of fidgets in the classroom? What about me? How do I learn? 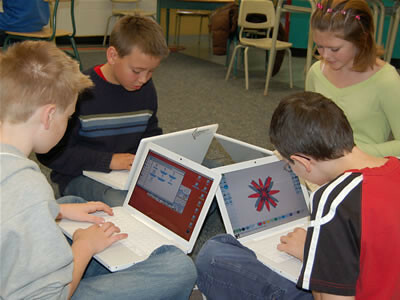 What does a “traditional” classroom look like? To me it is a teachers who gives information via lectures, notes, handouts, etc, and the students receive that information by writing things downs, completing worksheets and trying to cram it all into their minds. Does this work for everybody? Probably not. Did it work for me? Well judging by my marks all through elementary and high school I guess you could say it did. But is this really the way that I learn best? A year or two ago I would likely have said yes, mainly because I was unaware that any other ways really existed. Yet when helping co-workers solve problems, or coaching my gymnasts in rhythmic gymnastics I was quite aware that not everyone learned the same. In fact, I would frequently adjust how I was helping others learn. For some I would have to walk through steps with them one-on-one, for others I would write down the process, and still others would need a demonstration. I have always been very aware that there are multiple intelligences (though I have only mainly known about the auditory, visual and kinaesthetic learning styles) and that some learn differently than others. But do teachers in a classroom have the time to do this every day during every lesson? Not likely! So how do you make sure that everyone can learn in a way that suits them? I know that I learn best through seeing visual representations of the information or concept that is to be learned, but I also like to have a set of logical steps to work through. I also know that I typically require music playing in the background (even if it’s just in my head!) to really let something sink in, and also to spark creativity when I am working on a project. I was very grateful that when I attended SIAST I actually had an instructor who really appreciated this and even allowed me to listen to music on headphones during exams! (He checked my play lists before hand of course to make sure that I couldn’t cheat, and this was before cell phones had music and internet on them.) So when we did some multiple intelligence tests in class this week I was not surprised to find out that my highest scores were in the categories of Music & Rhythm, Visual Spatial, and Mathematic Logical. Often, people say that you will teach the way that you learn best, and while I can certainly understand and appreciate this “fact,” I would like to think that my past experiences have made me aware that this is not the only way. Sure, I will always find it easier to teach in visual and logical methods, and perhaps with some sort of rhythmic or musical component, but I am quite aware that I will be working with students who do not work in the same ways that I do. I think that the areas that I will have to be most aware of are the Interpersonal and Naturalist intelligences; the two areas that I am weakest in. These intelligences do not come naturally to me, but I am certainly working towards being better at them. I think that balancing all of the multiple intelligences and planning for differentiated instruction in the classroom will be a challenge. While I realize that this is certainly in the best interests of the students, I wonder how to accomplish this in the “real world.” In fact, I even came across this article yesterday that goes against differentiated instruction, saying it doesn’t work, and after reading it I can see some of the stumbling blocks in differentiated instruction. How do you make students feel “equal” if some are doing less work than others? I also really like the idea of creating project based learning (found a great article to start with), and ideas like Genius Hour, where students choose their projects and methods for learning. I think a lot of the struggles come from the fact that most students are accustomed to that more traditional way of learning and expect their teacher to tell them what to do! I actually am really looking forward to doing a similar type of learning project in this class though our Inquiry Research Project (I’m sure I’ll post more about this later!). I can see both sides of the argument on differentiated instruction through multiple intelligences, and I am curious to learn more about it. I was never taught this way, but rather than fearing something new I am looking forward to discovering new ideas and running with them in my own way. Sure, these “new” methods of instruction may be scary for students, and even for parents, but I am hopeful that I can work towards change. Some of my instructors last semester really encouraged me to step outside of my own box, and I think that learning more about the other intelligences and how to assist those students who have strengths where I do not will help me continue to do this. I want to find ways to truly engage all of my students, and will do whatever it takes to help them achieve their best.